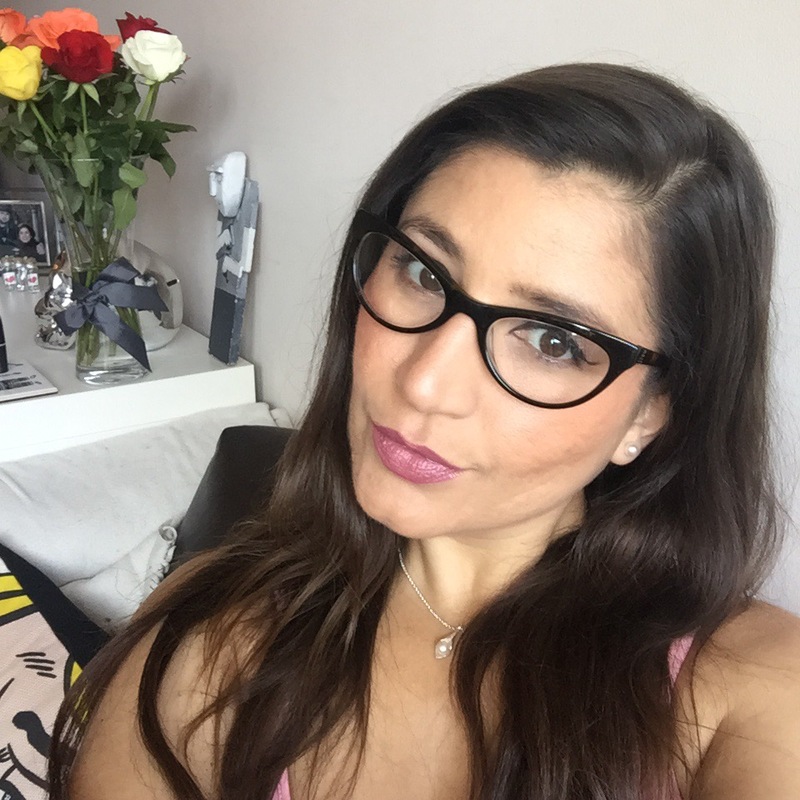 I wrote about how I feel about my glasses a little while ago, when I got myself my first pair of Specsavers glasses and here I am again, in love with my new pairs. The first one is this amazing number from Replay. Cat eye: tick. Retro vibe: tick. Feminine: tick. Fierce: tick. Quirky: tick. Flattering colour: tick. Ok, you get the idea. The design name is Replay 18 (could be a bit more inventive, no?) and these lovely glasses cost only £99, with simple lenses. Plus it is on the fabulous value for money Two for One deal. I am so in love with these glasses that it’s not even funny. And talking about a second pair, I got this beautiful FCUK 99 (again, what’s with the numbers?) blue pair. Also very flattering, in a gorgeous greenish blue colour marbled with black. Perfect for that everyday little flash of colour. It also costs £99 with standard lenses, so I you can get both for £99. 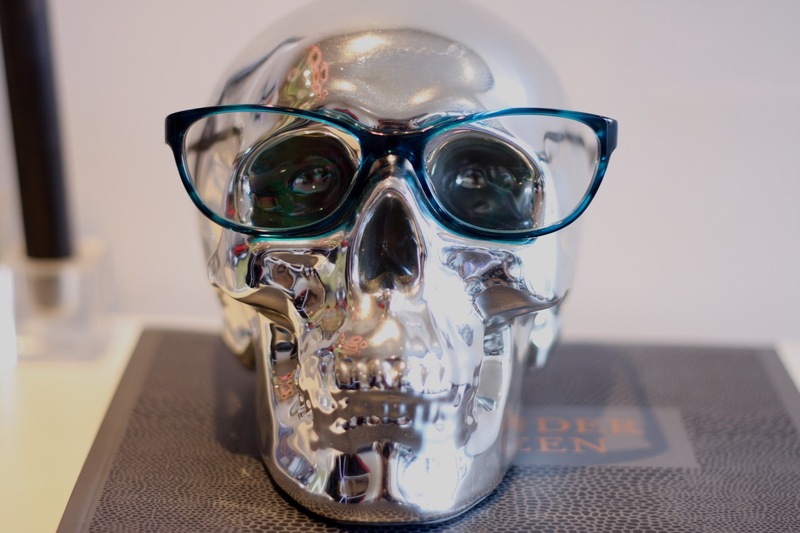 The current selection is fabulous, and they are also bringing a fabulous selection of new frames for Autumn/Winter 15. Amongst my favourite ones are Red or Dead (total love for their glitter frames). I am pinning for them HUGE time. Converse has very sleek red frames and Cheap Monday, which never disappoints, has fabulous textures numbers. 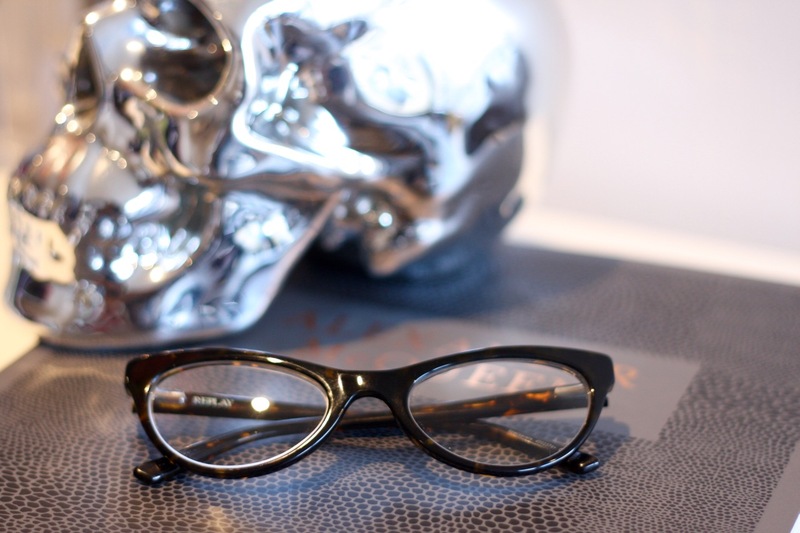 Karl Lagerfeld collaboration with Specsavers is going strong and once again we see some fabulous, wearable designs. Here are my faves, from top left: Red or Dead(<3), Cheap Monday, Converse and Karl Lagerfeld. I went to the London Tottenham Court Road shop and service was impeccable. My glasses were ready to be collected in two working days and I couldn’t be happier. My eyesight test are usually taken there too, and service is always good. If you a looking for a pair, fashionable or not, check Specsavers out. I am sure you will find not only one, but two, amazing pairs (for the price of that one! ).